Sawhney, with an experience from year 1991, is located in Rai sonepat Haryana. We can successfully cater to the variegated needs of our clients. The quality range offered by us encompasses Wiring Harness, PVC wires and cables, solenoid switches, starter motor, auto electric parts, coils, transformers and other similar products. Our range fulfills the needs of varied sectors like the automobile and the engineering industry. We offer engineering products such as, Wiring Harness, solenoid switches, starter motors, auto electric parts, coils, PVC wires and cables, transformers and solenoid switch parts. We adhere to strict quality policies and ensure that we manufacture our range in accordance with the industry norms and regulations. Our organization is backed by a team of professionals, which hold a rich industry experience. The domain knowledge of these experts has helped us to undertake complete projects such as packaging unit, customer designed project and substitute spares for equipment. 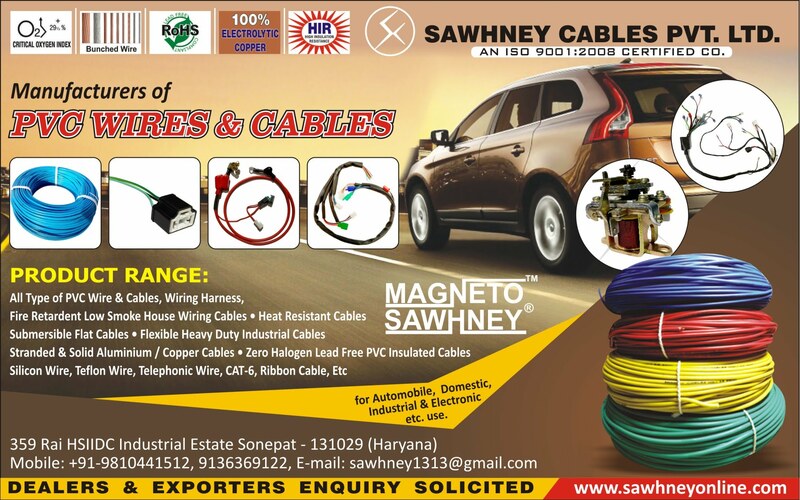 Along with solenoid switches and PVC wires and cables, Wiring Harness, we also offer auto spare parts. We also undertake manufacturing on contractual basis as per the specifications provided by the client. Owing to these factors, we have been able to muster a huge client base across whole country. We are a quality-conscious company, and we are devoted to every customer and every order, large or small. We offer prompt service, quality metal products, and expert technical support. We are committed to providing our customers with the highest quality products at reasonable rates. Customer satisfaction is our number one priority. We have established relationships with several prominent and reliable suppliers for our raw materials. We ensure that all customer requests are processed and delivered on time, with consistent quality of products. Payment Mode: Cash, Cheque, DD, NEFT/RTGS.